Yossi Milo Gallery is pleased to announce Domestic Scandals , an exhibition of color photographs by Takashi Yasumura. The exhibition will open on March 8, and close on April 14, 2007, with a reception for the artist on Thursday, March 8, from 6:00 to 8:00 pm. This will be the artist’s first solo exhibition in the United States. 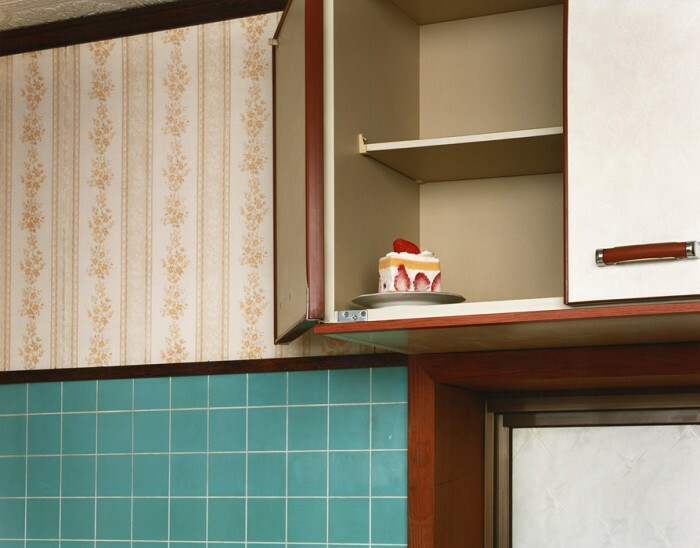 The photographs in Yasumura’s series, Domestic Scandals , were taken in his parents’ middle- class home in Japan over the course of seven years. Using a four-by-five-inch camera, the artist focuses on objects as found in the home’s interior, where traditional Japanese decorations and objects have been replaced by or are juxtaposed with modern, plastic and mass-produced goods. The color-saturated photographs of everyday items and backgrounds— a hot pink stapler against cool tiled walls, a boom box placed near sliding doors, and a pair of Spiderman slippers on a linoleum-covered floor—are void of the sentimentality thought to exist within the domestic realm. With humor and irony, Mr. Yasumura documents the paradoxical beauty found in the meeting of traditional and modern objects. Yasumura’s sleek 37″ × 48″ C-prints reflect the increasing shift within Japanese society from long-standing cultural values and practices to an imagined Westernized ideal of progress and modernity. Takashi Yasumura’s work has been featured in solo exhibitions at the Parco Museum, Tokyo in 2005; and the Real Jardín Botánico as part of PHotoEspaña 2006; as well as in group exhibitions at the Mori Art Museum, Tokyo; the Metropolitan Museum of Photography in Tokyo (in a show that toured to Osaka and Sendai); and at the Pingyao International Photography Show in China. He graduated from Nihon University’s College of Art in 1995 and was the recipient of Cannon’s 8th “New Cosmos of Photography” Grand Prize in 1999. Mr. Yasumura was born in Shiga Prefecture, Japan in 1972. He currently lives and works in Tokyo.